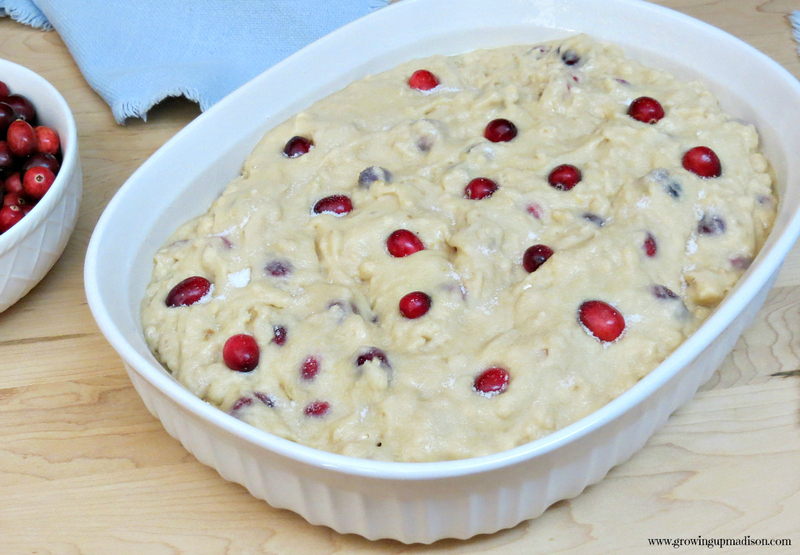 For as long as I can remember I've always been a fan of cranberries. It might be the fact that my mother always had a bottle of cranberry juice in the refrigerator. According to her it helped to prevent UTI's so as an adult I always kept a bottle on hand myself. Luckily for me my kids also share my love of cranberry juice and over the years they have started adding cranberry with other natural flavors. Flavors such as cran-apple and cran-grape. No matter what it is they are all delicious. My toddler just loves the dried cranberries and so you will find that in my pantry and also my bag whenever we're going out. It's a delicious snack and it's also rather healthy. 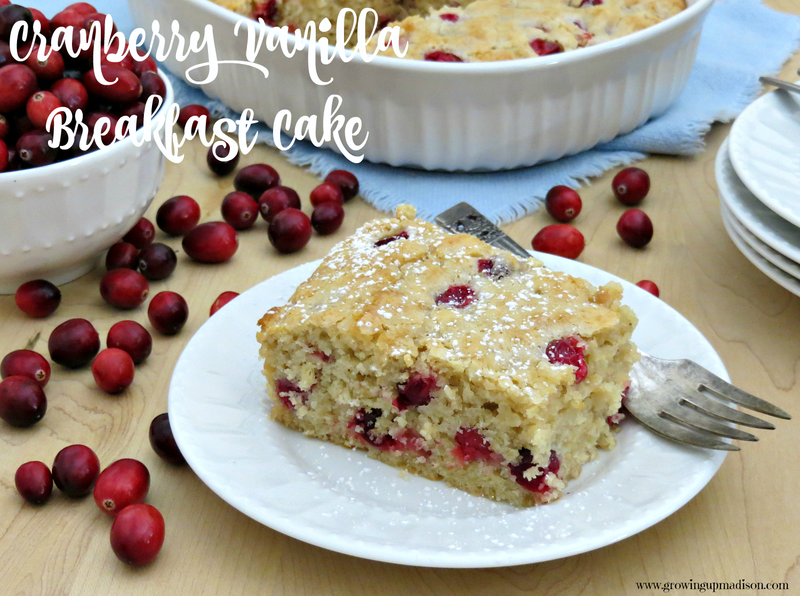 If you love cranberries as much as we do, then you will love our Cranberry Vanilla Breakfast Cake. Think brunch! 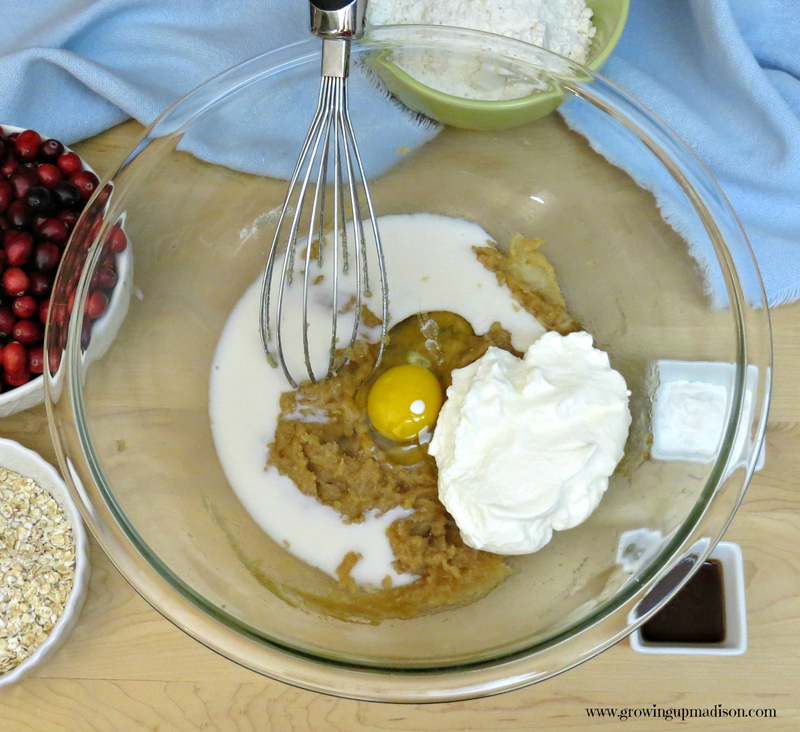 Add the coconut oil, butter, white sugar and brown sugar to a bowl and whisk until thoroughly combined. Add the almond milk, vanilla, yogurt and eggs and whisk until smooth. 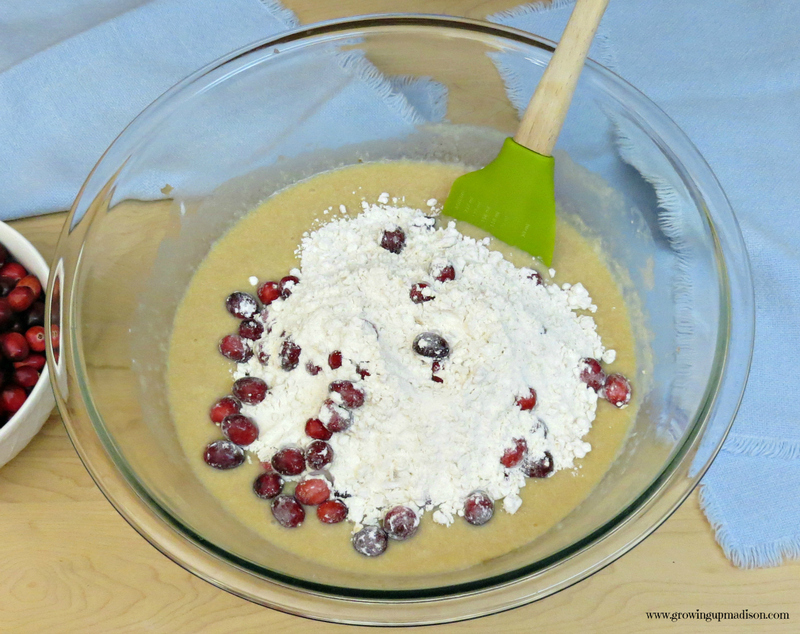 In another separate bowl, add the flour, oatmeal, baking powder and salt and stir to combine. 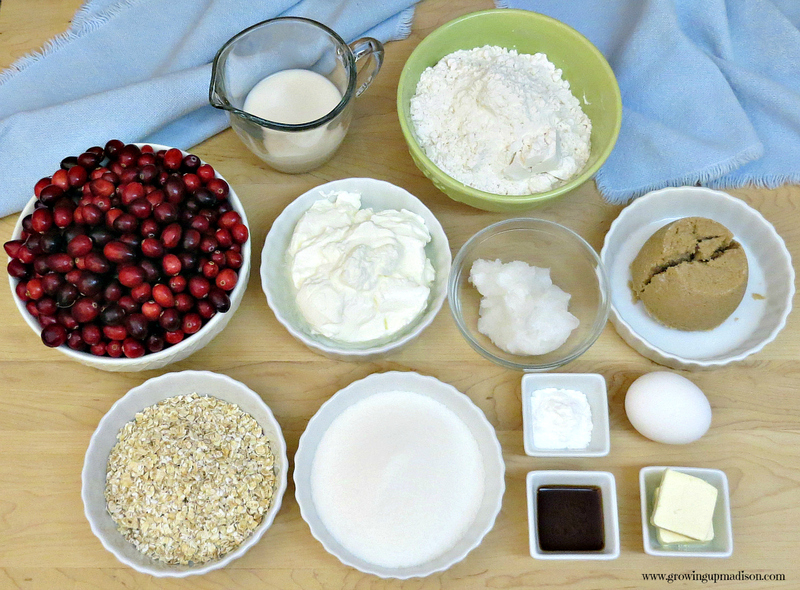 Add the dry ingredients and the cranberries to the wet ingredients. Using a spatula, fold until just combined, making sure not to overmix. Spray a 1.5 quart shallow baking dish with non-stick cooking spray. Sprinkle some additional white sugar all over the top of the batter. I used exactly two tablespoons. Bake for 30-35 minutes or until a toothpick inserted in the center comes out clean. I start checking it at 25 minutes and check it every 5 minutes after that. Serve with powdered sugar sprinkled over the top, if desired. This looks amazing! 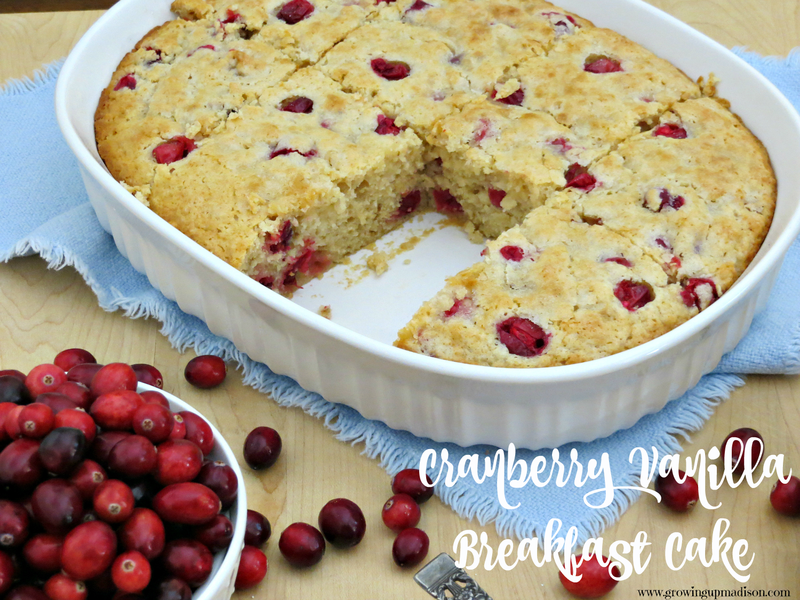 I love cranberry cake. I'll have to make this someday soon. Your pictures are great too! That looks delicious! Ill try it out some time next week. 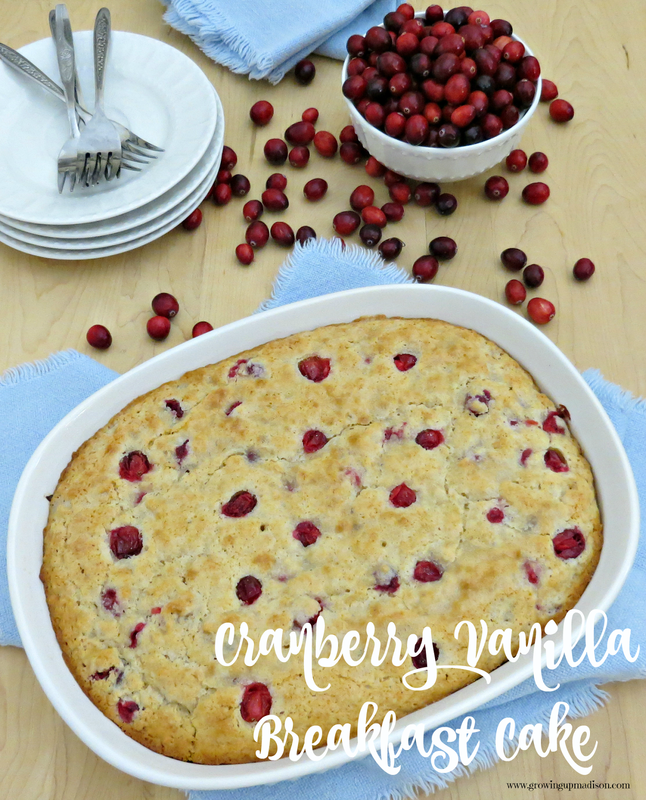 Oh man we love cranberries here too and I'm thinking this is going to be something I would want to make for dessert on Christmas day. Looks amazingly delicious! It looks so fluffy and delicious! I love those two flavors together and I also like them as a scent. Like cranberry/vanilla body cream or candles. YUM. OH yes I could be happy with a piece of this cake for breakfast. Or Lunch. Or Dinner. Or Snack. You get the idea. ;) It looks so good!